Classic blend of fragrant, green herbs. Pepper free. Made with jumbo size U.S. 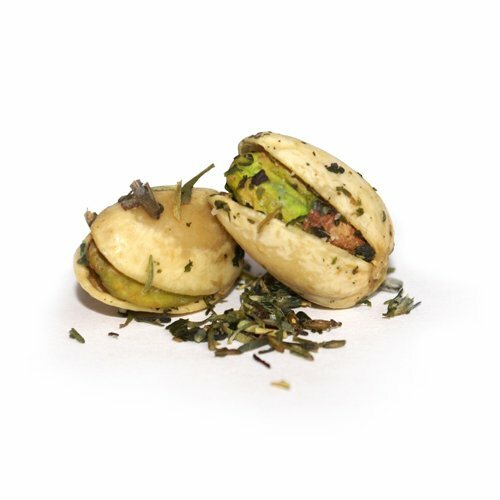 Extra #1 pistachios from California, first cold pressed extra virgin olive oil and a proprietary blend of whole herbs and spices including basil, lavender, parsley, sage, rosemary, thyme, garlic, tarragon, savory, marjoram, chervil and sea salt. Our gourmet pistachios are made with 100% naturally opened pistachios and whole herbs and spices from California farms and suppliers. Wonderful Pistachios Roasted and Salted Pistachios,1.5 Ounce, Pack of 24.